This couple right here, and their families, grew to mean so so much to me throughout the planning process. I think one of the things I love most about full planning clients is how close we become and how especially emotionally tied I get. 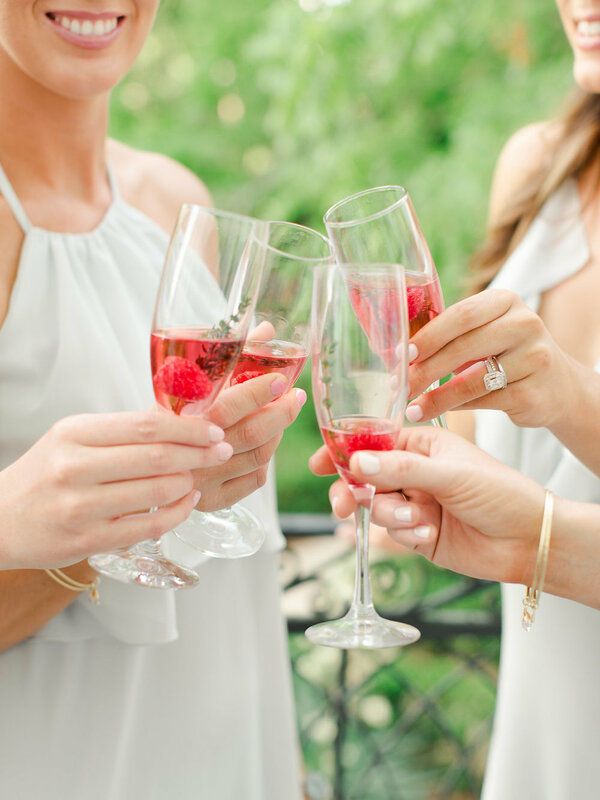 Emily and Kevin's engagement spanned over a year, but together with Emily and her sweet mother Susan, we truly enjoyed every moment of it. I got to know what Emily's aesthetic was, her priorities for their big day, and most importantly, see it through to fruition. Honestly, I'd have been thrilled to have the wedding she and Kevin had. It was the most perfect spring day, at The Taylor Grady House in Athens, Georgia (our second home, I often joke). 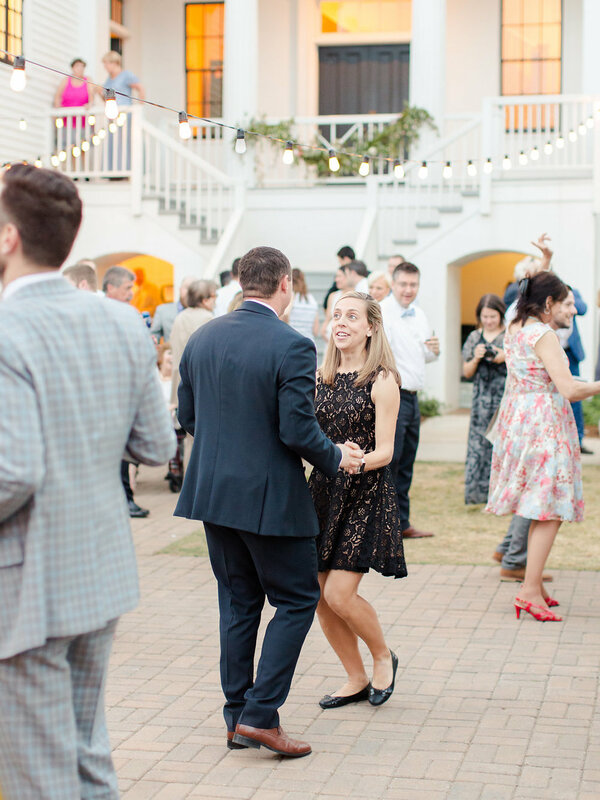 Guests were able to enjoy all of the grounds throughout the afternoon and evening, enjoying a lovely dinner provided by LRG Provisions and music from Sonic Groove. 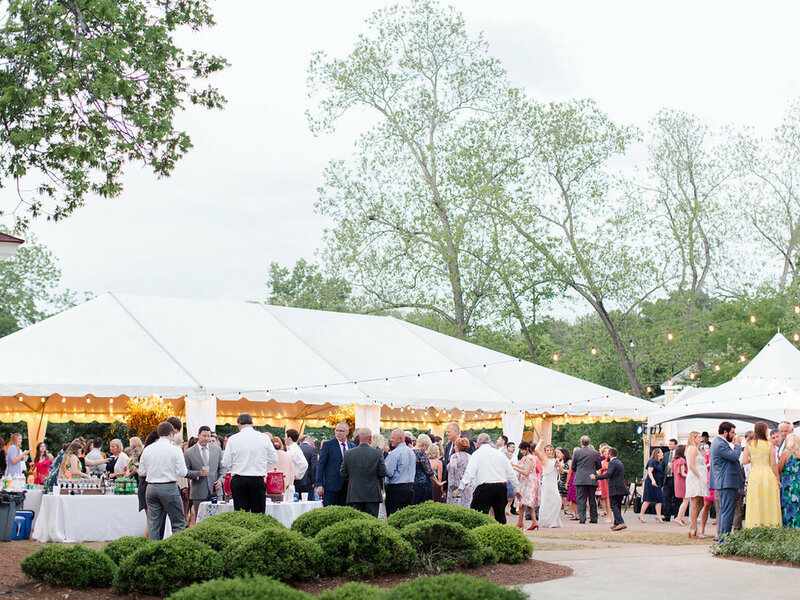 The vendors we chose for Emily and Kevin were custom picked based on their wishes, personality, and ties to Athens itself. I can truly say I will never forget this one, and to this day I hope to take Susan up on her offer to visit them at their lake home just so we can hang out and enjoy each other's company. They are that great you guys....my clients have my heart. 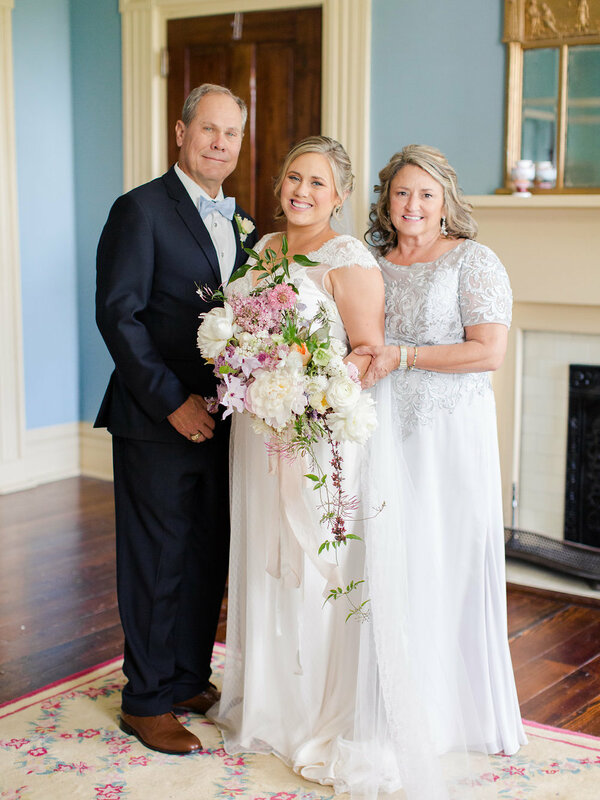 Another very important aspect of this wedding was working with Christy Hulsey of Colonial House of Flowers. 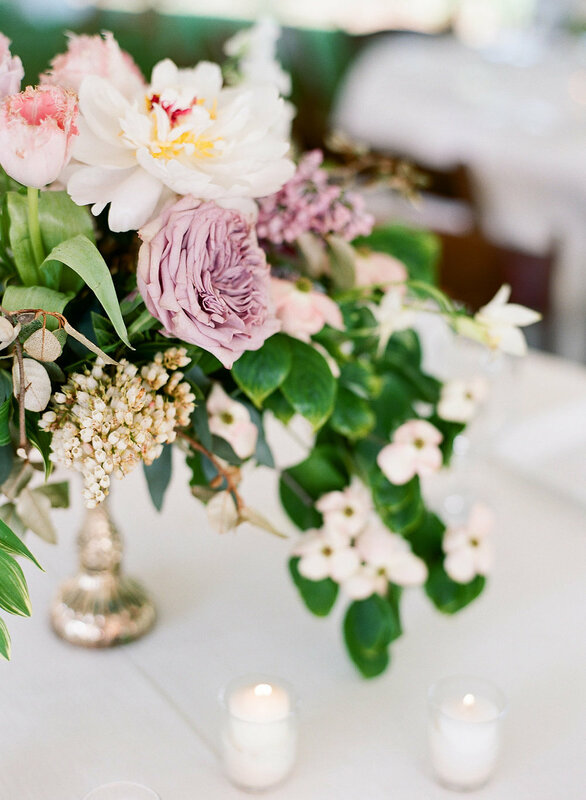 Using her expertise, amazing aesthetic, and the client's desire to incorporate flowers from their second generation garden, it was a magical collaboration. Christy didn't hold back, and knowing that gardenias were both Susan and Emily's favorite, she made the impossible happen, adding some beautiful gardenias to Emily's bouquet. By some miracle, they held up and made it that much more special. We were all a teary mess when the bouquet was presented. She also went out foraging for dogwood branches to add here and there, the day before the wedding just because why not?! I can't say enough great things about the CHOF team! Each guest room received these amazing welcome boxes, put together by Susan, Emily''s mother. Custom map, to include all of their favorite Athens locations, as well as the hotels and wedding venue | Created with the talent of Natty Michelle Paperie. 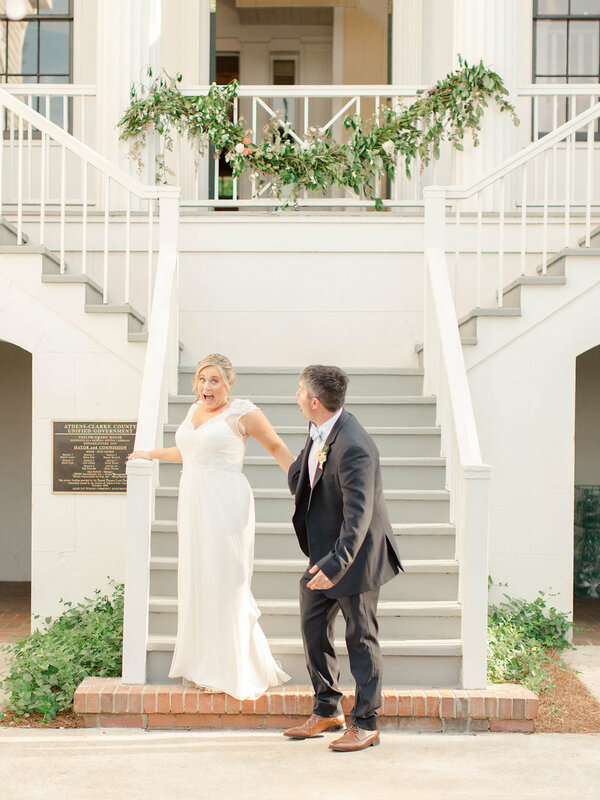 We worked closely with Amanda at Oconee Printing here in Athens, Georgia to create a custom suite for Emily and Kevin. We incorporated Emily's bridesmaid gown colors with the grey blue, and we added the gardenia envelope liners as an even more personal touch. We kept the script fun but formal enough for their outdoor spring garden reception. You want your sweet fur baby to be a part of your day? We are no strangers to such a special guest. Scarlett Rose was the inspiration for one of our signature drinks during cocktail hour, and man can she rock a floral collar. We have all of the heart eyes for this sweet and well behaved girl. It was Saturday in Athens, after all!